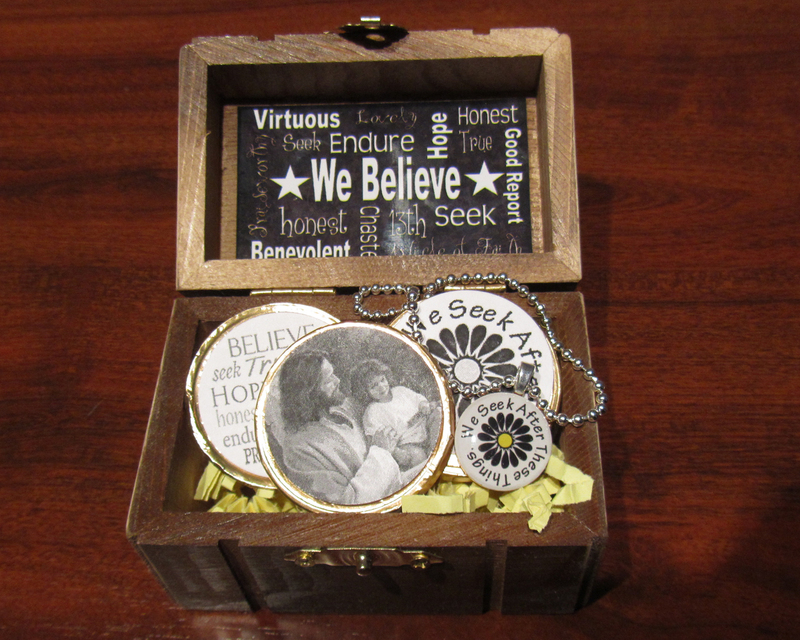 Our theme for the night was Treasures and "We Seek After These Things" to go along with this years theme of "We Believe" from the 13th Article of Faith. - We believe in being honest, true, chaste, benevolent, virtuous, and in doing good to all men; indeed, we may say that we follow the admonition of Paul—We believe all things, we hope all things, we have endured many things, and hope to be able to endure all things. If there is anything virtuous, lovely, or of good report or praiseworthy, we seek after these things. This is a night that we introduce the theme officially to the girls and have the opportunity to meet the girls who will be turning 12 this year and joining Young Womans. 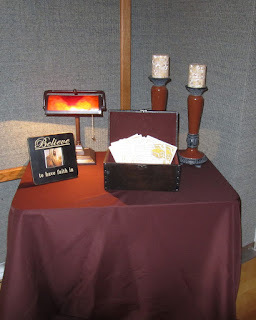 For the invitations, we gave them treasure maps printed on brown paper bags, with the edges burnt, and tied with a ribbon. 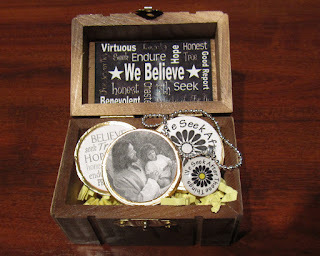 We decorated with brown and gold with treasure chests with coins inside that had pictures of Christ, the theme, and all of the action words from the Article of Faith on them along with a penny pendant necklace for the girls. The big treasure chests were our gift to the incoming girls, and we had smaller treasure chests for all of our current girls. 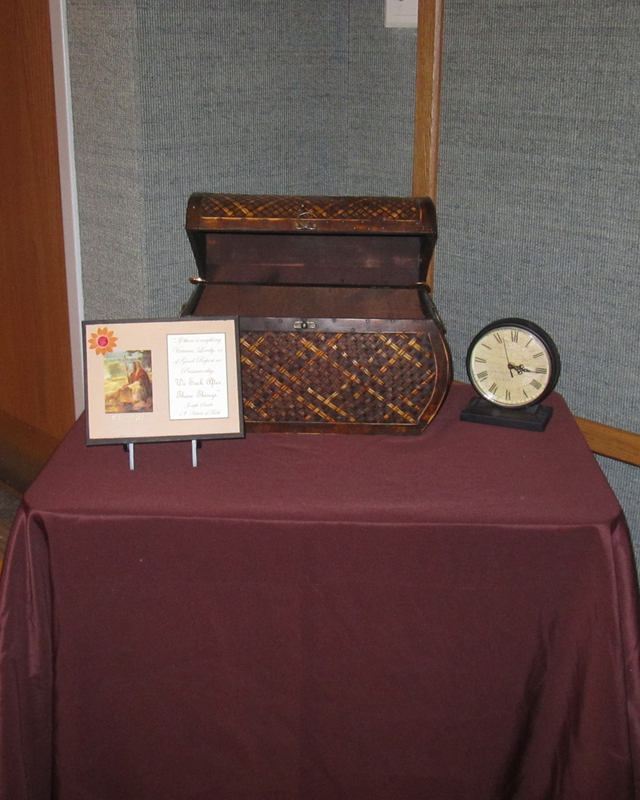 Inside each treasure chest was also a picture to remind them of the treasures that they should be seeking. I got the image from Under My Polka Dot Umbrella. I was thrilled with how they turned out. Our YW President spoke to the girls about how they are each a treasure and of great worth to our Heavenly Father. She also read the book, I am a Child of God by Wendy & Michael Nelsen, to the girls to finish her talk. I hope our girls know just how much we love and truly treasure each one of them. 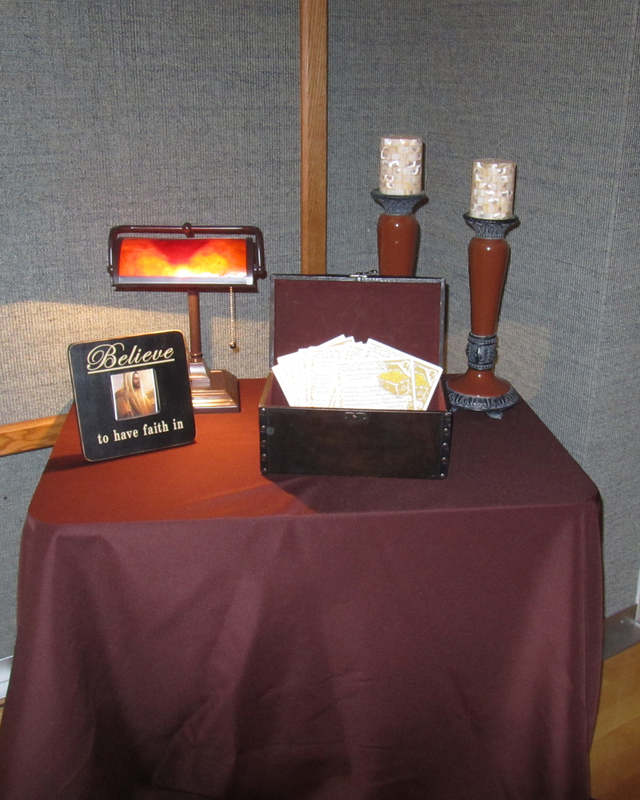 We then showed the video of the theme from the church. Next was my most favorite part of the night. A parent introduced each of their daughters to us so that we could get to know them a little bit before they join us. I loved watching the girls as they listened to their Mom or Dad tell us about the things that they value or treasure about their daughters. I think it was a good reminder for me to remember to tell my kids the things that I love about them, I don't think I do that enough. Next, our Bishop spoke about the 13th Article of Faith and what those words really mean, and how we should try to do/be those things. We concluded with a video of our Young Women and served refreshments. 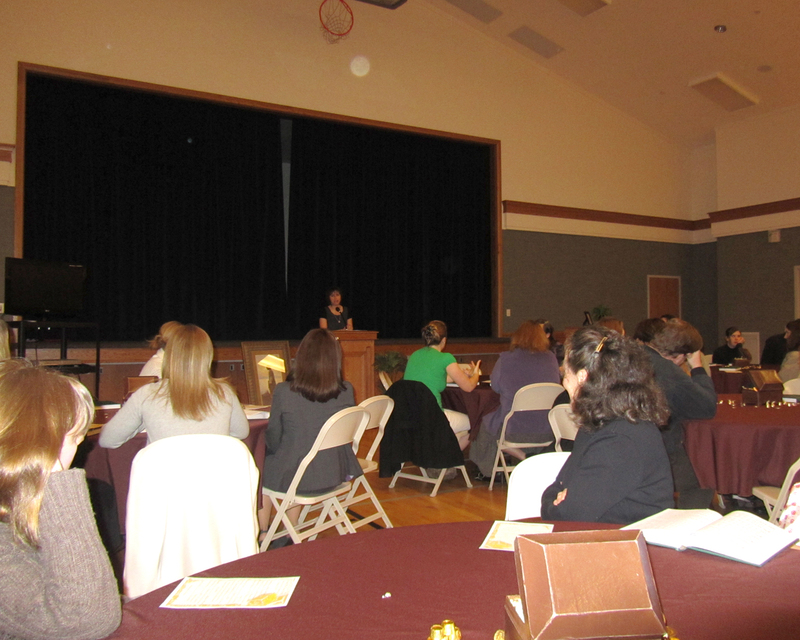 It was a wonderful night, and I am so glad so many of our youth came last night and braved the snow to come. I hope they all enjoyed the night as well. My regret of the night? I wish I had more pictures. In all the rush of finishing projects for the night, I forgot to charge my camera! LOL! So I will end with this picture taken a few Sundays ago. What exactly does it take to get ready for YW on Sundays, bags, lots of bags! 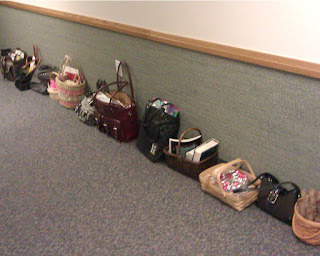 These are almost all of our bags, I think this only has stuff from 5 out of the 8 of us. Crazy isn't it! :) Oh, and there are the invitations in the bottom right hand corner.